Bill and Char Carlson were inspired by a trip to Europe where they realized the renewable energy movement was advancing faster than they were aware. Although they had already invested in wind energy, the Carlsons wanted to invest further in their grandchildren’s future with solar. So when they considered going solar for their home, they didn’t let the tall trees shading their roof stop them. Their decision turned out to be rewarding, as their solar array so far has generated more electricity than their house uses. Bill and Char have become increasingly aware of their carbon footprint. “Our favorite part of using our own solar energy is being able to drive our plug-in hybrid Prius around town on energy we generated on our roof.” With their installation, they’re on the right track to reducing their carbon footprint and helping the climate. “Watching the graphic app on our computer has inspired us to identify where we are using energy and how we can change this pattern.” With the monitoring software, the Carlsons are able to consciously reduce the amount of electricity they use. 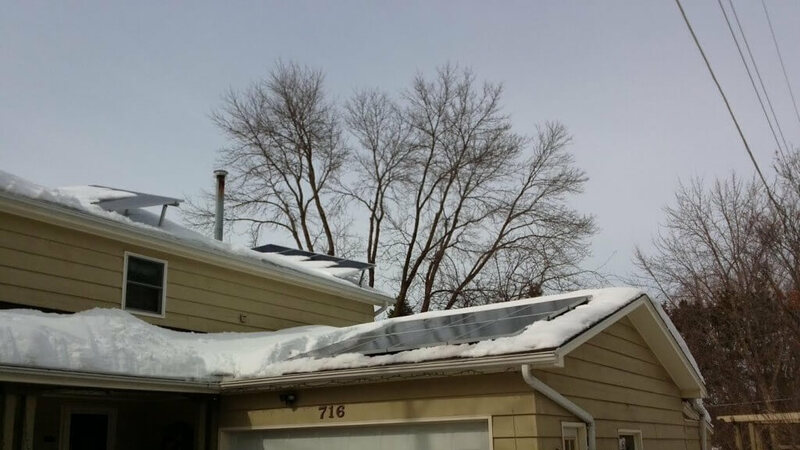 Even with a couple months of snow and ice covering the panels, their conservative approach to energy usage combined with their own solar power has generated 150% of their previous energy usage–a number that will certainly save them money and make them money by selling the excess electricity back to the utility company. 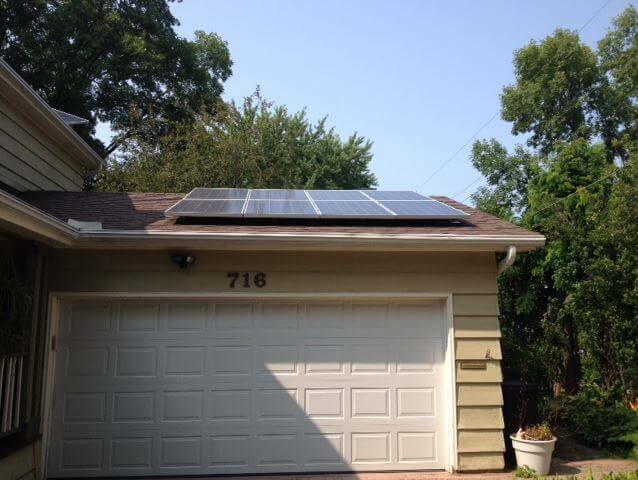 Despite the shade and an east/west facing rooftop, the Carlsons followed through with installing solar. 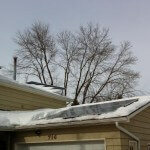 We came up with a solution to trim a few trees and tilt the panels in order to reach full exposure to the sun. 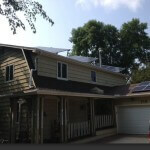 The Carlsons admit, “It was the right thing to do for our planet and for our grandchildren.” The house will generate clean solar power for their grandchildren’s future at the same price rate as the day their array was installed. 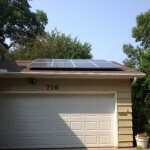 All Energy Solar worked with Bill and Char to create a custom solar array that will generate efficient renewable energy to power their home for years to come. 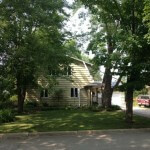 “We are now the envy of our friends as our total June utility bill (gas and electric) was a credit! 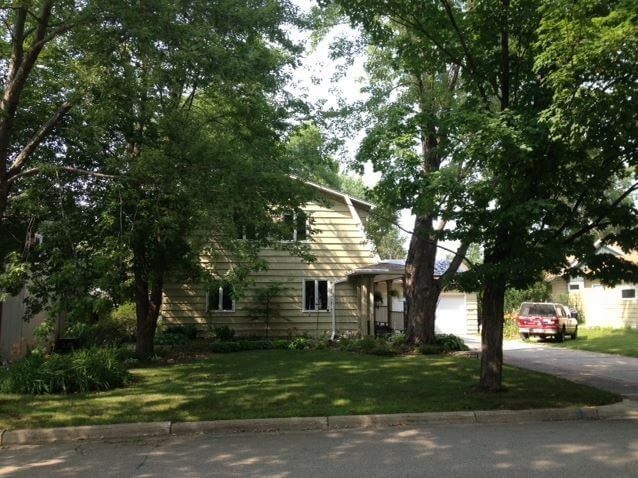 What more can we say but thank you.” -Bill and Char Carlson, Residential customers. Whether your property is residential, commercial, or agricultural, we want to help you save money on your energy bills and reduce your impact on the environment. 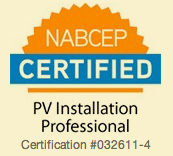 Request a free quote to go solar like the Carlsons. 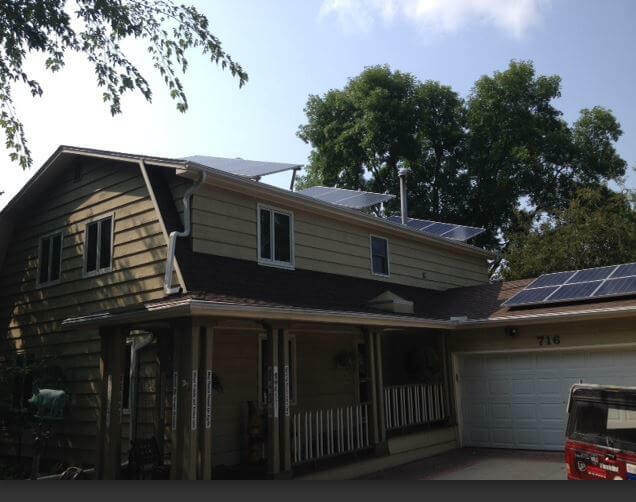 The Carlson’s solar array displaces a whole lot of carbon emissions. Here are some calculations to put their reduced energy usage into perspective.